It has been some time since my last recipe post. Sometimes, something has to give. These two sweet boys of mine keep me very very busy! They have so much energy! We are always on the go or in action. This is one of my favorite recipes. It is adapted from my mother in law. It is always a hit wherever we bring it. People love it. My family has grown to expect that I will be preparing some salsa for get togethers. Ha! What I love about it is how laid back it is. The ingredients do not have to be exactly to a science. You don’t have to eat it with chips either! It is super simple to make. 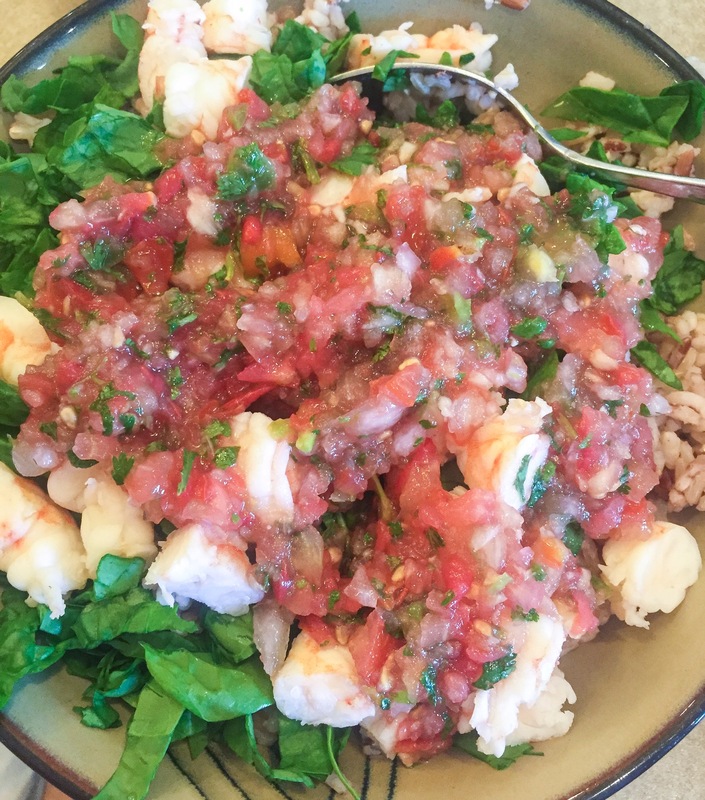 Fresh salsa served over spinach, shrimp, and brown rice. 2-4 tomatoes, depending on the size. Jalapeno, 1, 1/2, 1/4, depending on how spicy you want it. The more jalapeno, the spicier! Combine all ingredients into a good quality blender or food processor. I use my Vitamix. Use the pulse setting to keep it from being totally liquified. You can make it as chunky or as smooth as you want. It can be served with tortilla chips as a yummy snack or appetizer. It can also be for a meal. I used some leftovers for my dinner. I boiled some shrimp and chopped up some spinach. I served those over some brown rice and topped it off with this yummy healthy salsa. It was a delicious and health dinner! I am eating baby food! Ha! Ok not REALLY. I just finished off a bowl of my homemade apple sauce. I can call it baby food because I fed it to my baby an hour ago. It is versatile. It can be a healthy afternoon snack for me and Jackson or a yummy bowl of food for my little guy. I made all of Jackson’s baby food. I am doing nothing different with this baby boy. 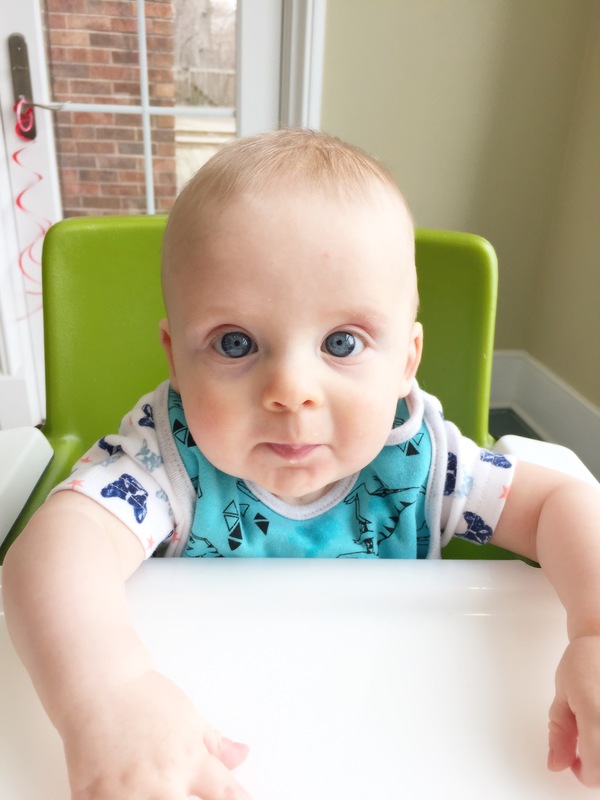 I remember at one of Jackson’s pediatrician appointments they asked me what stage food he was on. I was VERY confused for a moment. She started to say, you know what number is on his jars? I laughed and explained I had always made his food so he just eats whatever I whip up. At least this time around I won’t be caught so off guard. 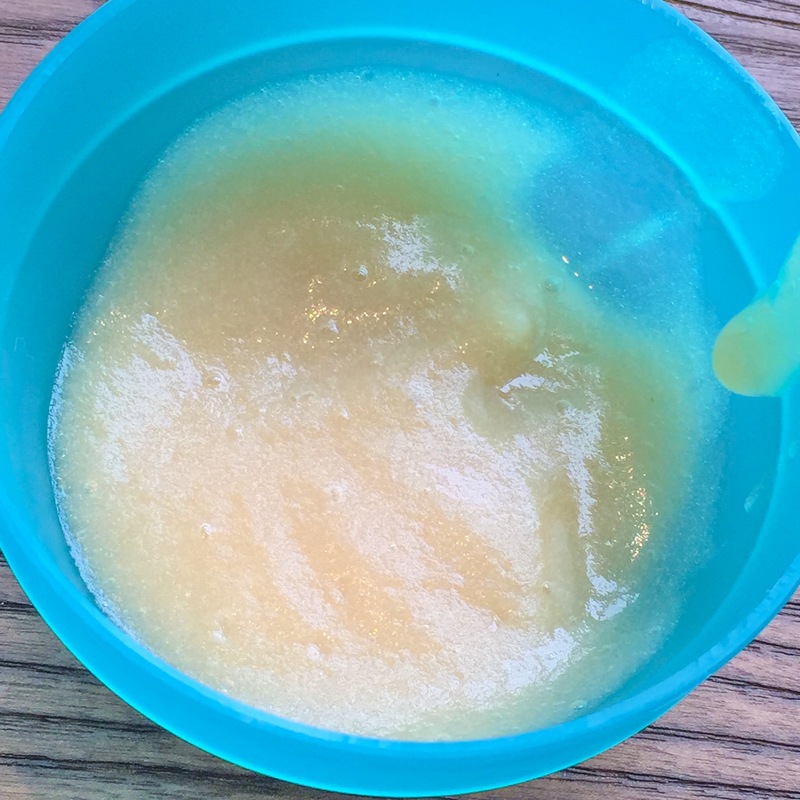 Making homemade baby food is SO simple. SO SO SO simple. My freezer currently has pears and sweet potatoes in it for Alexander. Plus this giant batch of applesauce. I will freeze some of it for him and the rest we will eat ourselves. Jackson and I cut up all the apples and baked them. It maybe took us 10-15 minutes. Cut up apples into chunks/pieces. Toss them in a large rectangle glass baking dish. I ended up using 2 for this batch because it was larger than the last time. I used a square glass baking dish for the overflow. Once all of the apples are in the dish(es) pour some filtered water over them. Enough to line the bottom of the pan, so they do not burn or stick to the bottom. Pop in oven and bake until they are all tender/mushy. I would say around 30-40 minutes. I was not watching exact time because Alexander decided he was not going to nap longer than 20 minutes. Take out from oven, let cool for a few minutes. I scooped mine into my Vitamix. I then added the reserved water from the bottom of both dishes, and used the puree setting. It is simple as that. It barely took me any time to whip this together. It was also a fun afternoon activity for just Jackson and me to do together. Anyway you can get your kids helping you out in the kitchen will help to foster a love for healthy and nutritious foods! These apples are Alexander approved! A boy who just finished eating his apples!